Officials in Georgia had to call in the cavalry Monday after dozens of cows escaped when a tractor-trailer transporting them overturned on a busy junction north of Atlanta. "We're wrangling some cows, that's what we're doing," Sandy Springs Police Sgt. Sam Worsham said Monday. A two-way tow truck collision on California State Highway 99 on Friday caused a cattle trailer to overturn, letting loose around two dozen cows. "We don't know where they are," Worsham said. "We're waiting for people to call and tell us there's a cow in the backyard." Sandy Springs police worked four wrecks caused by the wandering cows, Worsham said. No one was injured in any of those accidents, although several cows were hurt and some had to be tranquilized as officers tried to corral them. 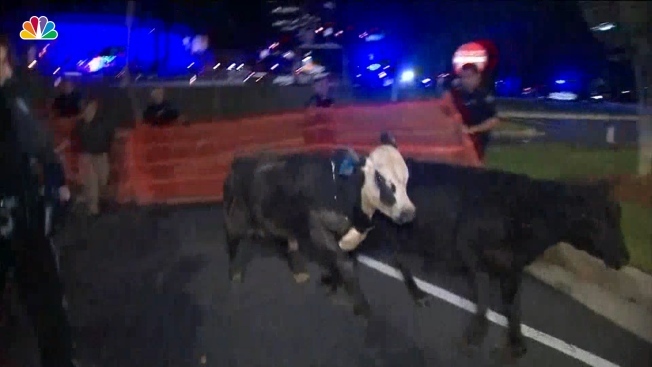 A herd of cows chased down a suspect that was fleeing a police pursuit on foot in Florida. 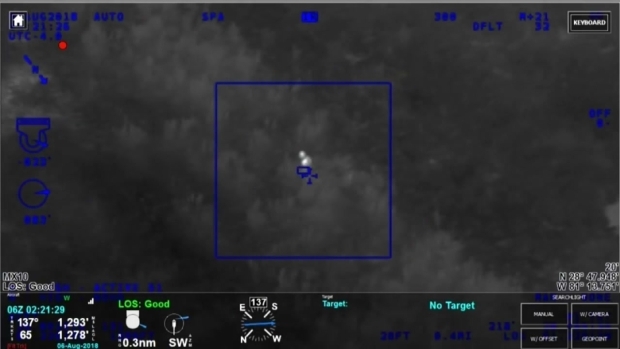 The Seminole County Sheriff's Office's helicopter captured the cows herding the female suspect toward waiting police officers. Delk said investigators do not think speed was a factor in the crash. The driver of the tractor-trailer that was carrying the cattle was taken to a hospital with injuries. The driver's name has not been released. It's the third such accident this year outside Atlanta, and the biggest yet. Smaller herds spilled onto Interstate 75 in May and Interstate 285 in June.